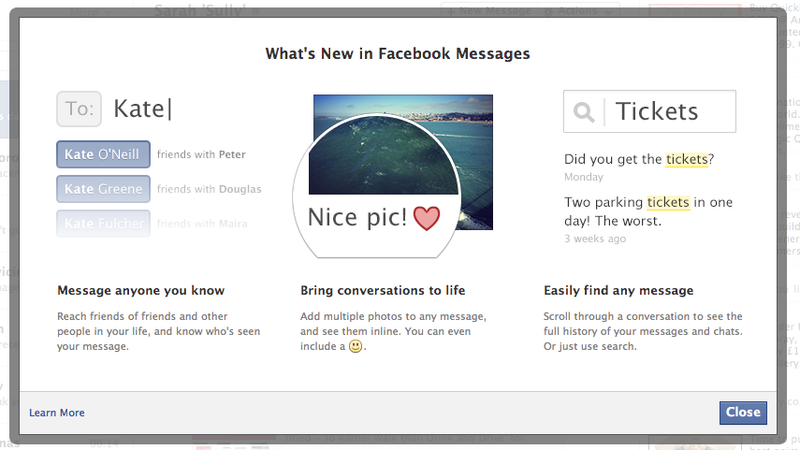 A while ago Facebook promised a new release to their messaging system and we’ve just been switched onto it. From what we see, its fast, easy to use and packs new features. Messaging more people – this includes friends of friends, and also includes delivery and read status. Networking should be easier now. Powerful in-convo search – remember talking to whats-his-face that other day about ‘chicken soup’… well now you can quickly find the conversation, check the conversation and even forward the information on. More information can be found here (in Facebook’s new actually-useful-for-a-change help section). Over all a great addition we think. What do you think? Leave a comment below. Prev:Remember when I told you not to make multiple personal accounts on Facebook?